Get fitter, healthier and happier by joining a fitandhappy outdoor boot camp for women. All sessions are suitable for women of all ages and levels of fitness. Currently there are classes held in The Meadows, Victoria Park and Ravelston Park. Whether you want to get fit, lose weight, find your core or just make exercise fun again, why not try one of our boot camps. You will be welcomed and supported at all times. Sorry, but we have no upcoming events for Fitandhappy Boot Camps For Women. 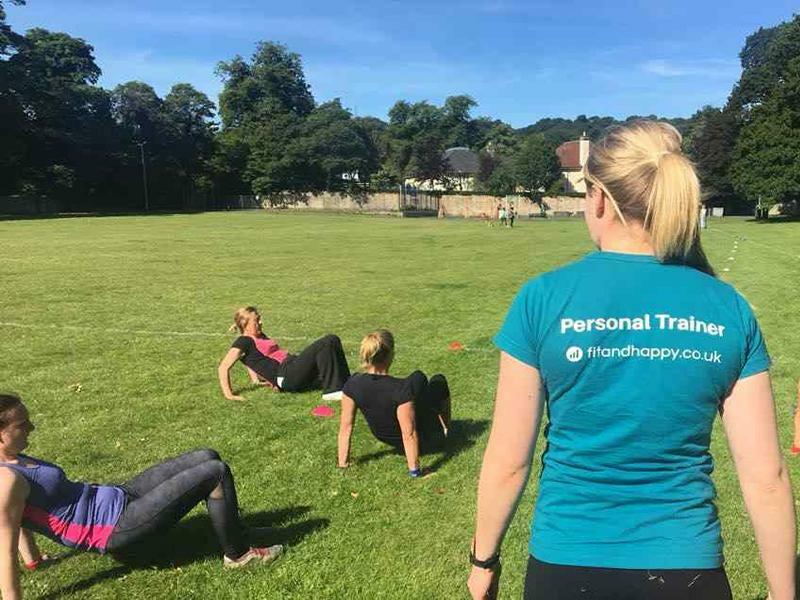 If you know of an event taking place at Fitandhappy Boot Camps For Women or anywhere else in Edinburgh tell us about it and we'll list it on the website, for free! Visit Curves in Edinburgh for a simple and effective workout circuit in only 30 minutes. Enhance your health & well-being with tai chi, qigong, meditation & mindfulness for total body & mind health. Gracemount caters to a wide range of sports and activities from the outdoor fives to indoor fitness classes. Healing for Kids is a small Holistic Centre for children and families situated in the Tollcross area of Edinburgh, close to the Kings Theatre. Room to Move is a Parkour and Circus Venue. Delivering Classes with Access Parkour, Freedom of Flight and many solo circus artists. Whether you want to get fit, lose weight, find your core or just make exercise fun again, why not check out our very popular fitandhappy boot camp for women in Edinburgh.